Summer is now well on the way and with temperatures set to be the hottest since 1976, your company intranet has an important role to play in highlighting content relevant to your end users. Sometimes it can be difficult to view the intranet content as a whole or think about it in terms of a campaign. I’m here to help with a few ideas for some summer content to encourage your end users to engage with your company intranet. If you would like some further intranet inspiration book onto one of our intranet showcase events. How to book, amend or cancel annual leave through your intranet. Sounds simple doesn’t it but don’t assume everyone knows how to do it. All you need to do is write or film a short piece on just how easy it is to book your holiday through your intranet. Great opportunity to remind everyone what you are all working towards achieving over the summer and business performance year to date. If your company is organising a summer company or departmental social event, then your intranet is a great place to ask for ideas, suggestions or help to organise it. Ask colleagues to vote on their favourite option. The intranet is a great way to gently remind everyone about any summer dress codes you may have in your office. Whether you embrace flip flops and sunhats or whether full suits are expected, colleagues will appreciate the heads up. If your office is lucky enough to have a company café or restaurant area then why not publish their new summer menu and perhaps negotiate a special offer for the first x number of staff? I’m sure your colleagues will appreciate any freebies on offer! Highlight the social features of your intranet and invite colleagues to get involved. Again, don’t assume everyone knows as much as you do about the intranet. Think of a great summer competition that will encourage departments to post photos or videos and encourage everyone to interact. Decorate your office summer style or summer cake competition or even summer treasure hunt are just a few ideas. I hope this has got you thinking about what you could do to inject some summer fun into your own intranet. 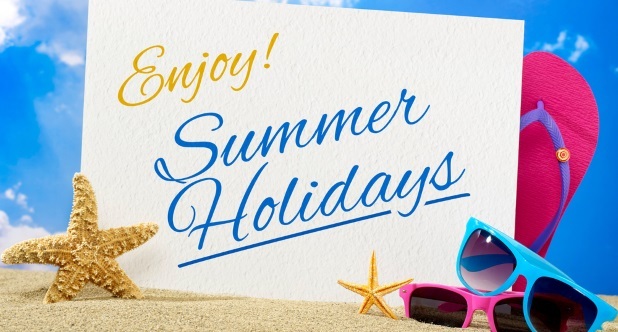 How will your intranet be embracing summer? I'd love to hear about your own summer campaigns and ideas. If you are looking for some intranet inspiration book onto one of our intranet showcase events.